Onsale offers the Maxell AA Alkaline Battery 48-Pack, model: 723443, for $9.99 ($0.21 per battery) with free shipping. 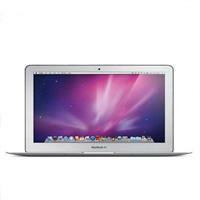 onSale offers 11.6" Apple MacBook Air / Intel Dual Core i5 1.6GHz, 2GB RAM, 64GB Flash for $749.99 with free shipping. Deal ends 9/22. Plus, it also offers (refurbished) Apple 13.3" MacBook Intel Core 2 Duo 2.26GHz with 2GB RAM, 250GB Hard Drive for $629.99. And the (refurbished) 20” Apple iMac Intel Core 2 Duo 2.4GHz, 1GB SDRAM, 250GB SATA Hard Drive w/ Built-In iSight, Bluetooth for $699.99. OnSale offers the factory-refurbished Iogear Wireless LED-Backlit Mini Keyboard, model: GKM571R, for $24.99 with free shipping. A 90-day Iogear warranty applies. Deal expires September 22 at 3 pm ET. OnSale offers the refurbished ViewSonic HD 3D-Ready SVGA DLP Projector, model: PJD5123, for $199.99 with free shipping. Features/Specifications: an 800x600 native resolution, 120hz refresh rate, 2,700 lumens brightness, 3,000:1 contrast ratio, nine preset picture modes, remote control, and VGA and other video inputs. Deal expires July 28 at 3 pm ET. OnSale offers the Google Nexus 7 16GB 7" Android Tablet, model: NEXUS7/1B16, plus a $25 Google Play Credit for $249.99 with free shipping. Deal expires July 27 at 3 pm ET. 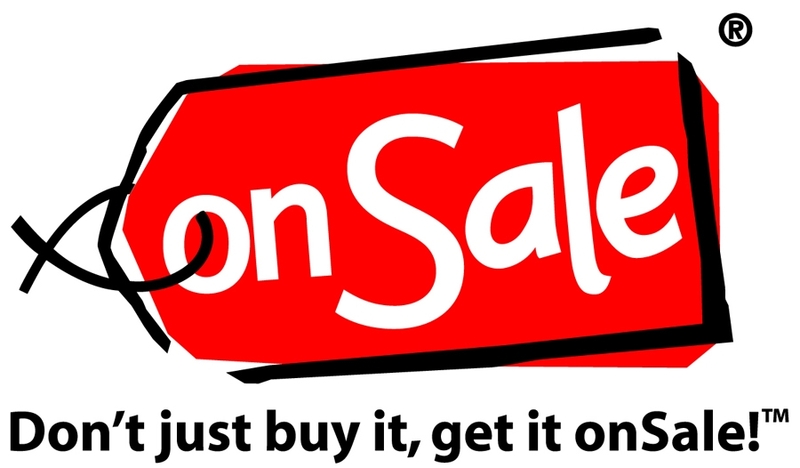 OnSale offers a $10 Gap Gift Card plus a $100 Restaurant.com Gift Card for $19.99. The Gap gift card can be used towards Gap, Old Navy, Banana Republic, Piperlime, Athleta, and more. OnSale offers a $10 Papa John's Pizza Gift Card for $5 with free shipping. Limit one per customer. Deal expires April 5. Today only (Mar 7), OnSale offers $10 Domino's Pizza Gift Card for $5.99. OnSale offers a $10 Domino's Pizza Gift Card for $5.99. (new customers only). A Coupon Code for your gift card would be emailed to you within 48 hours. OnSale offers a $10 CVS Gift Card for $5.99 with free shipping. Gift cards are valid in-store only. Limit one per customer. Expired $5.99 FOR A $10 DOMINO'S GIFT CARD! onSale offers $5.99 FOR A $10 DOMINO'S GIFT CARD! A Coupon Code for your gift card would be emailed to you within 48 hours. OnSale offers its new customers a $25 Sports Authority Gift Card for $18 with free shipping. OnSale offers its new customers a $5 Babies "R" Us Gift Card for $1.99 with free shipping. Deal expires January 17 at 2:59 am ET. onSale offers Apple 11.6" MacBook Air 1.6GHz, 4GB RAM, 128GB Flash Storage, NVIDIA GeForce 320M (MC906LL/A) for $899.99 with free shipping. OnSale offers a $10 Papa John's Pizza Gift Card for $5 with free shipping for new customers. Limit one per customer. OnSale offers its new customers a $10 Toys "R" Us Gift Card for $5 with free shipping. Deal expires December 5 at 3 am ET. OnSale offers its new customers a $25 Sports Authority Gift Card for $18.99 with free shipping. Today only (Nov 11) at OnSale, receive a $10 CVS Gift Card for free with the purchase of any daily deal of $10 or more. OnSale offers its new customers a $25 Buca di Beppo Gift Card for $18.99 with free shipping. OnSale offers the Jabra Bluetooth Headset in Black/Silver, model: VBT2050, for $4.99 with $3.99 for shipping.